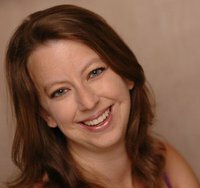 Amy Hornberger trained and performed at The Harrisburg Academy of Dance under Jo Ellen Hoffman, and at The Harrisburg Dance Conservatory under Richard Hoskinson. Ms. Hornberger earned a B.A. in psychology from Goucher College in 1994, and went on to study at the graduate level, specializing in child psychology. This additional training gave her an in-depth understanding of child physical, cognitive and emotional development, which she used to develop her “ABC’s of Dance” preschool –early elementary school program. She founded Synergy Movement Theatre and School in 2001; in addition to her role as studio director, she designs the sets, scenery and costumes for the performances. The school became Baltimore School of Dance in 2009.